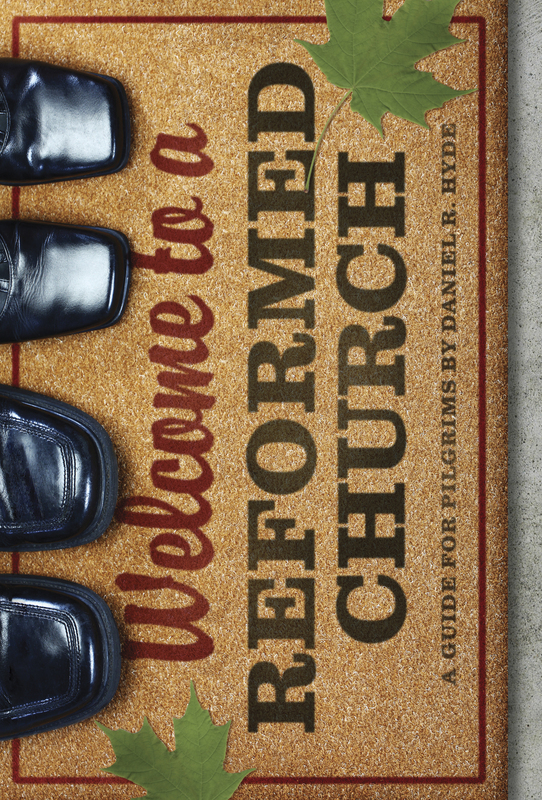 Review: Daniel R. Hyde, Welcome to a Reformed Church: A Guide for Pilgrims. Reformation Trust: Orlando, 2010. pp. URC church planter Daniel Hyde felt the need for a clear, concise, and cogent piece of literature to give out to the droves of visitors, inquirers, and curious onlookers that would wander into his church. In order to create something like this, Hyde started over 7 years ago, writing and planning a book that would be more than a mere booklet or a small pamphlet, yet not intimidating to those that did not know of the Reformed faith. The result became Welcome to the Reformed Church, which is trying to get across exactly that—Welcome! Rev. Hyde would like to see those that have specific questions, tend to wonder, or would like to understand what Reformed Church truly is, to be able to get some answers in less than 150 pages. But what makes Rev. Hyde’s book different from those that have tried to do the same in the past, is that Hyde follows the emphases that his own confessions hold, and writes as a former outsider of the Reformed faith in a conversational way. This is extremely helpful to the non-Reformed or the New-Reformed individuals as they are able to see the distinctions of the Reformed Church and differences that had once stood out to Rev. Hyde himself before he became Reformed in confession and practice. Rev. Hyde then supports his thesis by focusing on the most important issues dealing with the Reformed Church through its history, such as: What are their roots? Why does the church have confessions? Scripture as the final authority, God’s making of covenants with mankind, What is Justification? What is sanctification? What makes a church? What is worship? and How are preaching and the sacraments the means of grace today? Rev. Hyde starts the first chapter of his book with a brief history—or “roots” as he calls them—saying to his readers, “Although you may never have been in a Reformed church, we did not just come out of nowhere. We’ve been around the block a few times.” After this, Rev. Hyde shows the importance of why it is necessary to explain what the Reformed Church’s creeds and confessions are, and then details their doctrinal emphases for the reader in chapter two. Moving on throughout the book, another chapter which stands out is chapter 5: “Justification: Grace Alone, Faith Alone, Christ Alone.” This is the article upon which the church stands or falls; the hinges upon which true religion turns; the heartbeat of heaven; and the pulse of the pilgrim. Rev. Hyde finishes his book on the Reformed Church with a little extra for those that read beyond chapter 9. He includes 2 appendixes that are most useful for the reader to further study about the Reformed Church. Appendix 1 is a basic “question and answer” of the some of the remaining questions one may have about the Reformed Church. Appendix 2 is a bibliography for those that wish to seek further study on a number of different areas in relationship to the Reformed Church, including theology, covenant, God, Jesus Christ, Holy Spirit, history, liturgy, and community. Rev. Hyde hopes to settle the dispute today among American evangelicalism of what Reformed really is in 3-points: Reformed is Christian, Reformed is Protestant, and Reformed is only Reformed churches, nothing else. Rev. Hyde provides the much-needed definition and historical value, and what it truly means to be a part of a Confessional/Historical Reformed Church. In less than 150-pages, Hyde defines and gives proof of the much used word “Reformed”—what it truly means in its’ historical setting and what the Reformed Church was, and is still today. Additionally, Hyde lays out the foundation and the history of the Reformed Church, examines why they use confessions, and what key doctrines make up the identity of the Reformed Church in today’s culture. If one is new to the term Calvinism, this book should surely help them understand the historical/confessional Reformed faith that lies in churches today. If one is a New-Calvinist, this book is a must read so as to understand what it means to be truly Reformed in its’ historical definition and identity. If one is in a Reformed Church already, this book will give a great reminder of who you are, what it is you came from, and why you believe the truths of the gospel in the way you do. No matter where you are at in the Christian Faith, Welcome to a Reformed Church must be read for its defining of what and why the Reformed Church truly is what it is today. Furthermore, reading this book will—if nothing else—make you consider and reflect on why you are what you are, and what you believe in the Christian faith.